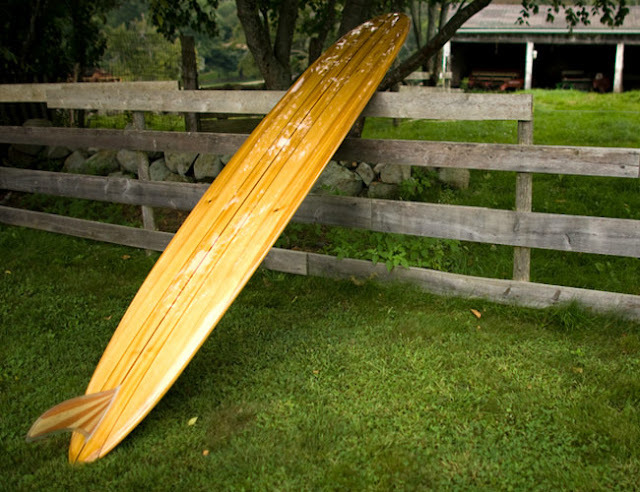 Grain Surfboards began in the basement of a home just minutes from York Beach, Maine. Combining his love of board sports with a passion for traditional boat-building techniques, Mike LaVecchia began creating one-off wooden surfboards and has since turned Grain Surfboards into a full-fledged board maker, "known for innovative techniques, classic designs and ground-breaking products." I am particularly fond of their 10' Waterlog, a traditional squash tail noserider that weighs only 23lbs.